Performed by Kenneth Branagh "The murderer is with us—on the train now . . ." Just after midnight, the famous Orient Express is stopped in its tracks by a snowdrift. By morning, the millionaire Samuel Edward Ratchett lies dead in his compartment, stabbed a dozen times, his door locked from the inside. One of his fellow passengers must be the murderer. 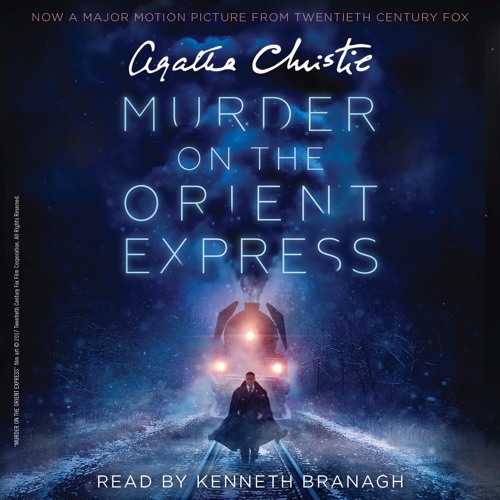 Isolated by the storm, detective Hercule Poirot must find the killer among a dozen of the dead man's enemies, before the murderer decides to strike again . . .
"two points of an upward curled moustache" - pretty clear, no? Why do some people want to "improve" the classics?